12 Oct 2018 --- There is plenty of room for robust growth in Asia’s cheese market, particularly for Australian dairy exporters who are well-placed to take advantage of increasing demand for cheese, even though it’s not a traditional part of the Asian diet. Market competition is already intensifying and there are opportunities to tap into growing demand from Asia, according to a new Rabobank report. But it’s not just Australia which could take advantage of the buoyant Asian dairy market. Competition is picking up pace as leading cheese manufacturers in the US, Europe, and New Zealand are all looking to gain ground in the Asian dairy space, according to Rabobank Senior Dairy Analyst, Michael Harvey, who says these regions are investing in production operations and capacity building. Last June, the US and China signed a Memorandum of Understanding (MoU) that increased access to China for more than 200 US dairy exporters, paving the way for additional US entrants in the future. The MoU came following more than two years of intensive talks between the US Dairy Export Council and the Chinese government, finally reaching the agreement which creates significant opportunities for the US dairy sector. You can read more on this here. 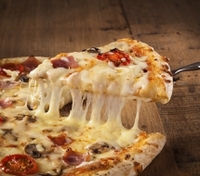 Does cheese growth depend on pizza? By global standards, Asian per capita consumption of cheese is low, with plenty of room for growth. And, as the competitive environment intensifies, Australia must continue to play to its strengths if it is to succeed in Asian cheese markets in the long-term, says the report. The cheese and whey stream is an essential driver of supply chain returns for the Australian dairy sector. Australia has an accelerating geographic exposure to Asian cheese markets following a period of processing investments in search of higher growth and healthier margins. Cheese import volumes to China and South-East Asia will continue to expand over the next five years, underpinned by strong demand growth in the quick-service restaurant sector and limited local production. Underlying population growth and expanding middle-classes. The rise of young consumers and their desire for convenience. Population density underpinned by a structural shift from rural to urban dwellings. Industry investment in educating consumers on the nutritional benefits of cheese. Further expansion of QSRs driven by new restaurants openings, increasing traffic at existing locations. New consumer trends, e.g. Chinese cheese tea. However, according to Harvey, although headroom for growth is strong in Asia, some level of caution is needed. “A sizeable slice of the demand over the forecast period depends on the expansion and penetration of pizza consumption,” he says. And there have been signals from Quick Service Restaurants (QSR) chains that expansion plans across some economies have failed to meet previous expectations due to macroeconomic headwinds and inflationary pressures, i.e. wages and commodities, which have squeezed restaurant margins. A slowdown in economic growth and a rise in cost-of-living pressures which reduce discretionary spending and the desire to eat out. Government support to improve the competitiveness of domestic cheese production. Slower than usual QSR store penetrations and reach into new cities. The rise in popularity of vegan products, including vegan pizza. Price pressures to support the use of alternatives such as analog cheese. Trade barriers which may dilute the competitiveness of imported cheese. QSR sectors in Asia being highly fragmented and industry consolidation potentially being disruptive. Nevertheless, China will be an “engine of growth” for Australian cheese exports, says the report and based on Rabobank’s forecasts, China’s annual cheese import volumes will be nearing 200,000 tons by 2023. Dairy China Asia Cheese Australia Exports Trade Pizza.